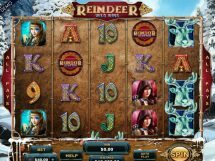 Reindeer Wild Wins slot is a 1024 way 5 reel and 4 rows game developed by Genesis Gaming. 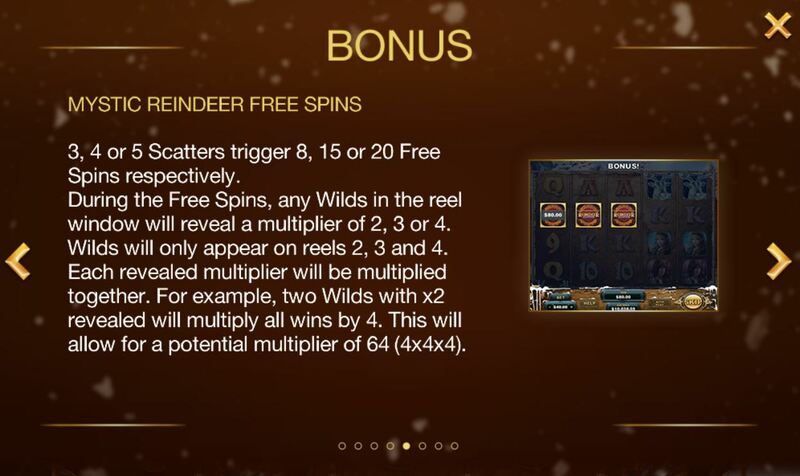 The premium character, the reindeer, plus other symbols appear stacked on the reels and you have single non-multiplying Wilds on reels 2,3 and 4. 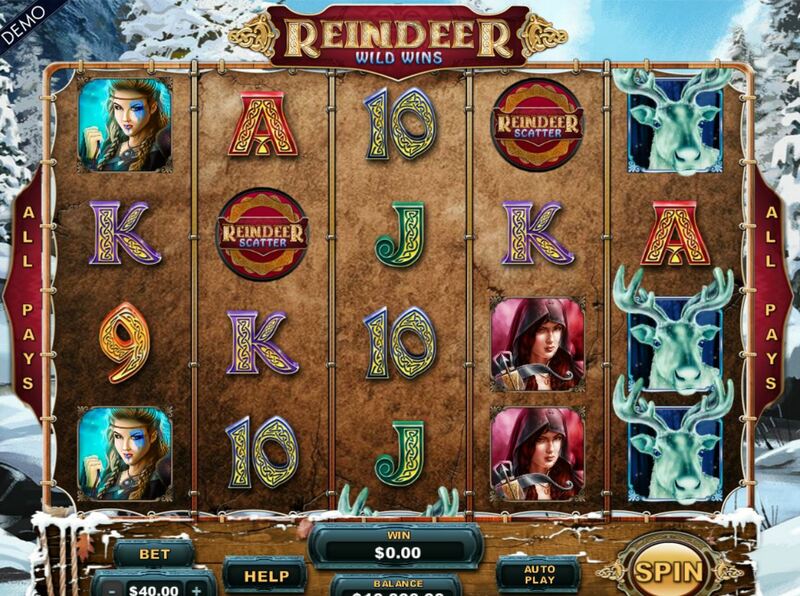 Three reindeer logo scatters anywhere triggers 8 free games up to 15 for 4 or 20 for all 5. 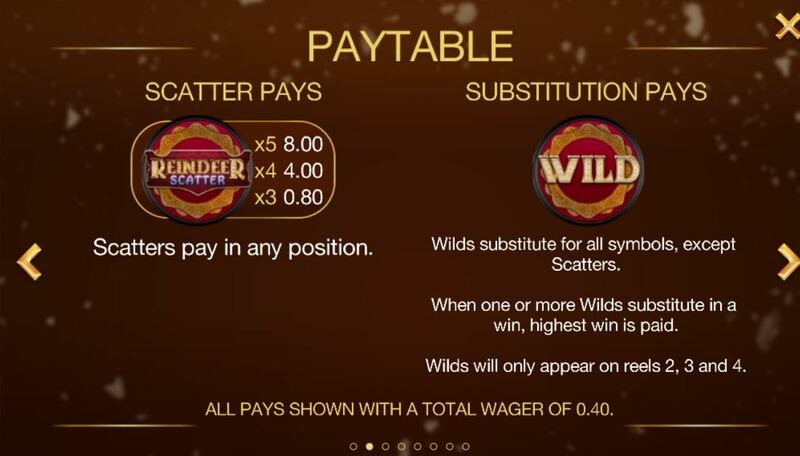 These free games are essentially like those of Raging Rhino whereby any Wilds will award random cumulative multiplier to wins, in this case 2x, 3x or 4x. This means if very fortunate some 4 or 5-of-a-kind wins could be at x64, or more if stacked symbols were in-view on reel 1 and hopefully 5 too! 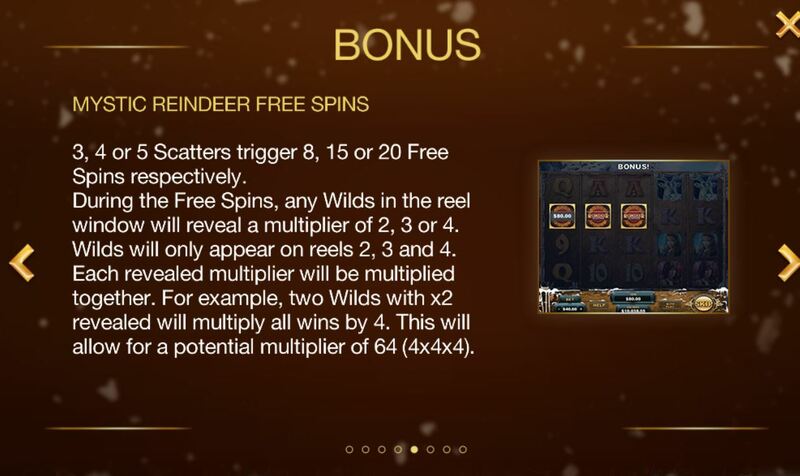 You can also win extra spins. RTP is 96.21%.